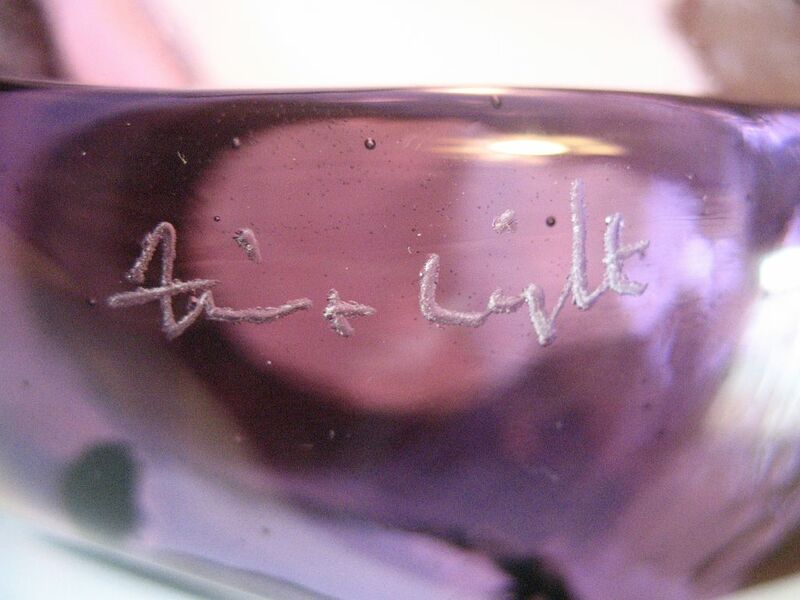 This is a very gently used, beautiful, modern sculpture studio art glass vase or bowl. It is hand made and signed by the artist (see photo). 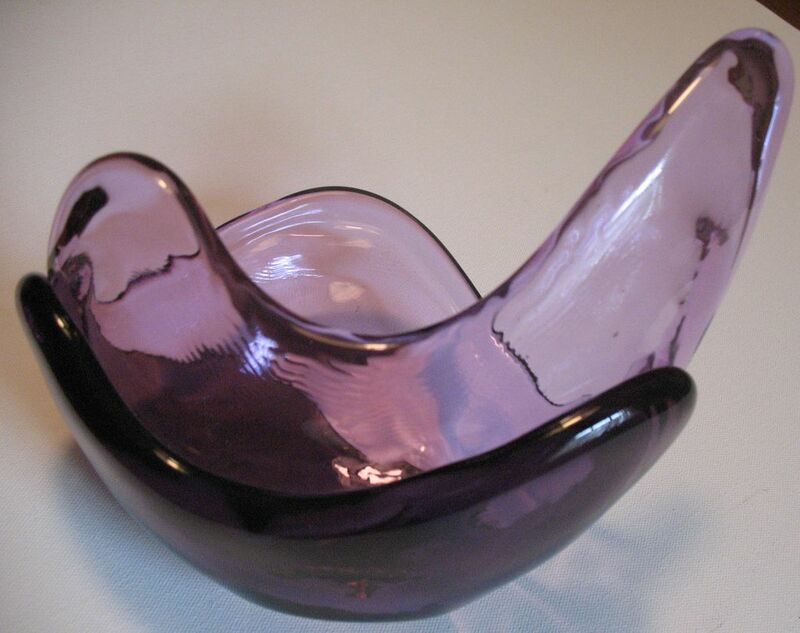 The vase has two colors of purple or amethyst, with the bottom piece being a shade darker than the upper piece and is very heavy. This piece measures 8" long by 6 1/2" tall by 5 1/2" deep.